Who are today’s “expats”? What motivates people to leave their homes, family, and friends to immerse themselves in unfamiliar places, learn foreign languages, and get to know new people? 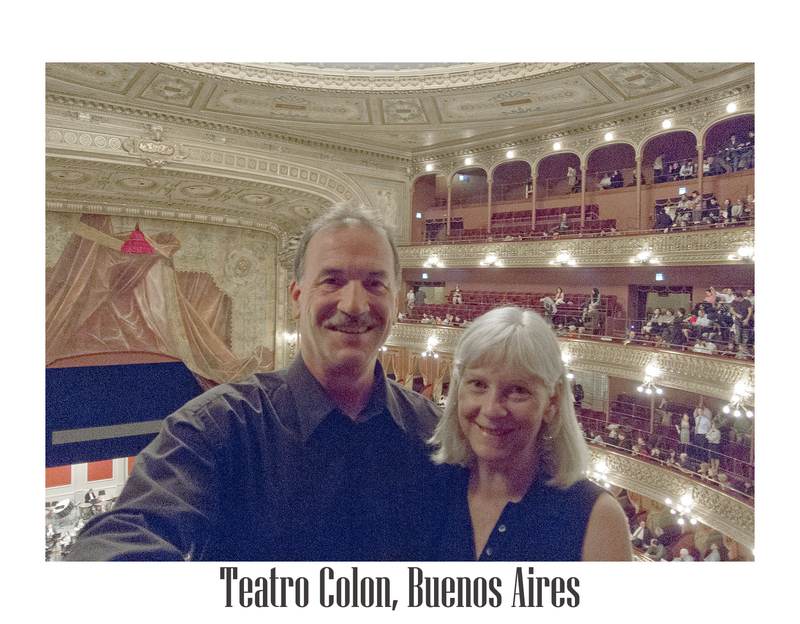 Betsy and Mark Blondin, expats themselves, wanted to find out. 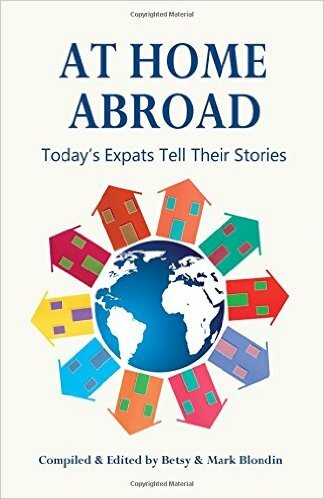 That curiosity led to At Home Abroad: Today’s Expats Tell Their Stories, published in April 2016. Betsy and Mark have lived in Mexico, Guatemala, South America and also in parts of Europe, working remotely—Betsy as a freelance editor, Mark in his technology company, Datawise Storage. Betsy had previously published the book, Migraine Expressions, a collection of images, poetry, and essays on that subject, which introduced her to the compilation approach. I recently chatted with the Blondins about their experience. My questions appear in italics. Next week, I will post an excerpt from At Home Abroad. Betsy: We’ve been nomads since 2010. The idea came from people we’ve met in our travels who have wonderful stories. Mark: I was struck by a woman in her 80s we met in San Miguel de Allende. She started telling me about all the places she had visited. I was amazed. Then I asked her where she would like to go next—and she said, “If someone wanted to go to South Africa, I’d go right now.” That started my interest in expats’ stories. Then, as we lived in different places, we met person after person with fascinating stories. We reached expat writers through expat sites and Craigslist. Responses started coming in from all over. We hadn’t expected it to be so international. It gelled that this story is not just about people from the United States—it’s about people from all over the world who have decided to adopt new homes. .
Betsy: That’s what we enjoyed most about putting the book together: getting a story from a person in Belgium who had resettled in Ireland, and so on. You received 130 submissions, which you culled to 31 essays. How did you decide which to include? Betsy: It was based on quality, interest, and a bit by country and age diversity. Originally we assumed it would be mostly retirees who had moved to other countries. That we got so many responses from young people was great. We didn’t edit a lot. We kept the stories as close as possible to their words and sent our edits to them for approval. Was something revealed to you about the expat experience as you worked with these stories? Betsy: Yes, that human beings are pretty much the same everywhere. That’s the big lesson—people sing to their babies, people laugh and cry. As you read these stories, that message gets reiterated. Another big message from the stories was, DON’T BE AFRAID. Just go for it. How can you lose? Mark: People dream about going everywhere, and just never take the plunge. That came through in a lot of the stories. The other overriding theme was that you can be home in lots of different places. Betsy: You carry it with you. It’s wherever you are. Home isn’t a place, it is in the person. That theme came across a lot. You managed to work most places you lived. Betsy: That’s worth thinking about. A lot of people who move abroad have money—they are the travelers who just stay longer in one place or another. Then there are the people who are working freelance and living abroad. It’s a different set-up. You are a part-time tourist. These are the “digital nomads.” People who don’t have money do it by working and scrimping so they can have the experience, which is what we did. That’s why we did it, absolutely. Who do you see being helped by coming across this book? Betsy: It isn’t a practical guide like “Move to Portugal, here are the steps.” There are plenty of books like that. It’s more about sharing personal experiences and perceptions. Betsy: —and here are 31 people who did it and show that you can. I hear from readers who say they really love the book and it has inspired them to travel or live in another place at least for a while. Betsy: Some of the stories have practical information but it’s not the how-to book. That information is easily available. Readers are looking for confirmation, affirmation, of their idea. The website for At Home Abroad is todaysexpats.com. Click on “expat resources”for a listing of helpful expat websites! The Blondins published their book using CreateSpace. It is available online through Amazon (where it has earned a 91% 5-star rating), iBooks, Barnes & Noble, Smashwords, Ingram, and on Kindle as an eBook. So far, they’ve succeeded in getting the book into Powell’s Books in Seattle. The Blondins now draw on their self-publishing experience to help other authors publish their books. To contact Mark and Betsy, send an email to blondins@todaysexpats.com. Wonderful story–makes me want to read the book!